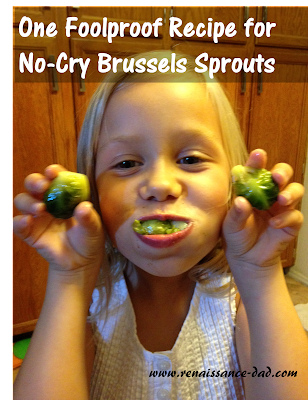 Now we often roast our Brussels sprouts (and other veggies) with oil and salt, which makes them even tastier. But whenever we have them, it is hit or miss whether or not the kids will eat them. So last night at dinner, Little E dug his heals in and decided that he was just going to eat his hotdog and not his Brussels sprouts. And then, in a fit of silliness, he put some ketchup on them. Julia Childs, I bet you wish you came up with that one. When he got a laugh from his sisters, he popped them in his mouth and asked if he could have some more. His sisters promptly followed suit, and the next thing I knew, I now had to compete with three more family members to make sure I got all that I wanted. 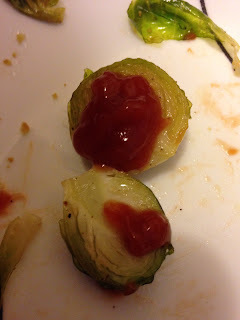 Who knew that a little ketchup would turn our kids into ravenous Brussels sprout monsters? So let me back up a little bit. When Little E first put ketchup on his veggies, I wanted to tell him to stop. I didn't want him messing up something that I would end up eating at the end of dinner. However, I quickly realized that if I had stopped him, I would have prevented him from eating his Brussels sprouts. He tricked himself into eating them using a method that I never would have thought of. And, subsequently, his sisters followed suit. I will have to remember this in the future when there is something that my kids won't eat (not that there is a lot that they don't eat). Silliness seems to help those types of food go down. Whether it is mashed potatoes with sprinkles, or Brussels sprouts with ketchup, or some other bizarre, random combination, maybe a spoon full of silly helps the vegetables go down. And I may need to add this to the list of no fight ways to get kids to eat vegetables. 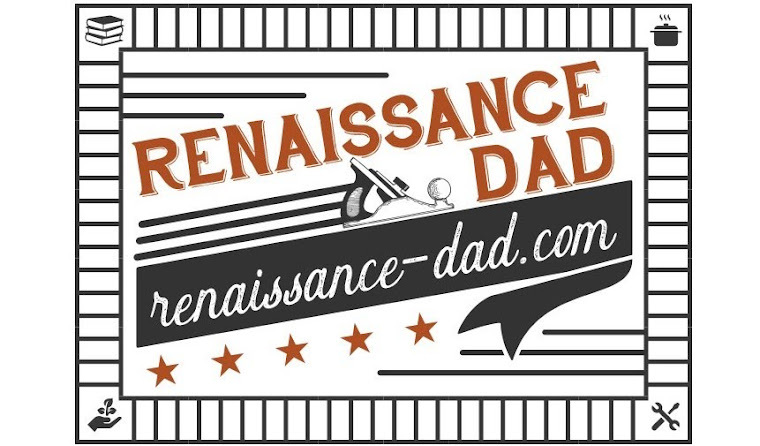 You mean there is a way to compete with your kids for vegetables? I just need to hide the ketchup. Who knew.